During these past few years, the Ascended Beings have continually been telling us that there is a great shift in consciousness currently taking place on this earth and for many people, this is why they are feeling more drawn to a variety of healing & purification practices. Our understanding of this shift in consciousness is that it will combine the purest feeling of love with an understanding of one-ness to help us create a peaceful, loving & compassionate society without war, poverty, environmental destruction and the like. Some people refer to this new vibration as '4th density whilst others have referred to it as a 'unified' or 'love based' consciousness. The key message that keeps 'coming through' for us though is the message of love and loving kindness. And we are slowly realising that the New Consciousness helps to bring an immense feeling of unconditional love beyond anything that we have ever known before. A love that is able to be expressed for ourselves, for our fellow humans and for our animal friends; a love which is shared with our Earth Mother and which shines outwards for all to benefit from throughout the entire cosmos! Another key part of this energetic shift is the concept of one-ness or unification i.e. the idea that we are not separate from one another. As part of this great transition & awakening process, we are receiving more and more information about the importance of being open and willing to receive love with the intention of benefitting 'all beings'. To hold an altruistic intention to benefit others and combine this with the feelings of love and compassion is truly one of the most important and transformational parts of this great shift in conscoiuseness! Through our spiritual work so far, we are realising more and more that these wonderful layers of the New Consciousness come from deep within our hearts as we are guided towards clearing away and releasing many of our own impurities and imperfections from within. As such, this transition into these layers of New Consciousness takes place through a series of very profound energetic transformations and as always, this is being divinely guided perfectly, uniquely and beautifully for each and every one of us. During their own journey, Marty & Gerry have been asked to confront and face a lot of their own internal darkness, impurities and old / unwanted emotions from within. Through the Ascension Pathway and other healing systems that have come through, they have been guided through a process of uplifting and awakening their consciousness, closer towards more love, light and understanding. 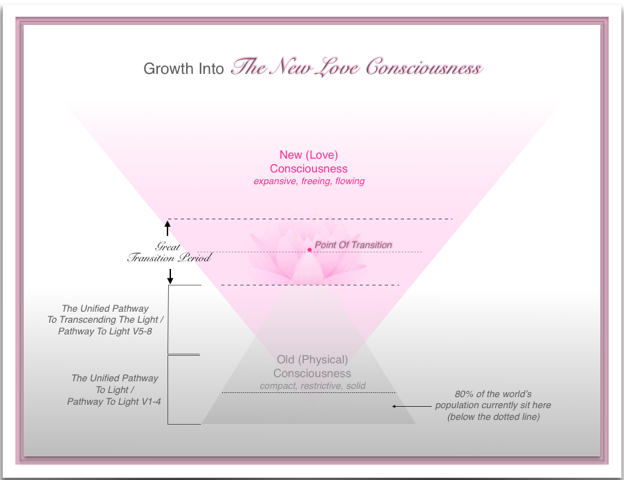 As they have progressed further, they have come to realise that the Love Inspiration Ascension Pathway offers a clear and genuine pathway into the energies of The Grand New Maitri Consciousness. Love Inspiration is therefore delighted and overjoyed to offer this Ascension Pathway freely, lovingly and humbly in the hope that many beings will be guided into The Grand New Maitri Consciousness for the infinite benefit of all. May we all release our impurities & imperfections from within and may we all move forwards into this deepened understanding of love, peace and unity! Finally, we wish to remind you here that you are a truly divine & infinite being. When these purest & most divine parts of yourself are give the chance to blossom, you can very quickly learn that your love & compassion can help a great many beings to find much joy, happiness, health and peace in their life. We hope that you will enjoy the journey into The Grand New Maitri Consciousness and may your journey be filled with many divine blessings and much love. - What is the New Consciousness? - What do you mean by the word 'ascension'? - What do you mean by the word 'liberation'? - Why do you talk about the New Consciousness on your website? - When will this shift in consciousness start to happen? - Do I need to receive your healing systems to move into the New Consciousness? - How do your healing energies help me to move into the New Consciousness?